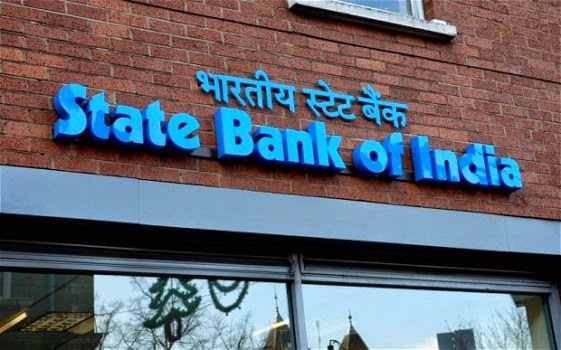 COUNTRY's largest lender State Bank of India (SBI), which will see five associate banks merge into it on April 1, has decided to shut down almost half the offices of these banks, including the head offices of three of them. This process will start from April 24.
and 11 network offices of the associate banks," SBI Managing Director Dinesh Kumar Khara was quoted as telling news agency IANS. "We will keep their structure in place till April 24 and, post that, we will start dismantling the associate banks' controlling offices, which includes head offices, regional offices, zonal offices and network offices," Khara said. The five associate banks that will merge with SBI are: SBBJ (State Bank of Bikaner and Jaipur), SBM (State Bank of Mysore), SBT (State Bank of Travancore), SBP (State Bank of Patiala) and SBH (State Bank of Hyderabad). SBI is India's largest bank with assets of Rs 30.72 lakh crore and figures at No. 64 in the global ranking of banks (as of December 2015; December 2016 ranking is still awaited). After the merger, with assets of approximately Rs 40 lakh crore, SBI will be among the top 50 banks in the world. The five associate banks will cease to exist as legal entities and become a part of SBI from April 1, but the various merger processes will start only after April 24, once the balance sheets of the five entities are audited and added. "We will have to get the balance sheets of the associate banks audited a day prior to the merger, that is, on March 31. The balance sheets of the banks will be drawn up and added; it takes 15-20 days. Soon after the audit is done, the branches will be completely merged with SBI," Khara said. Currently there are 550 SBI offices while its associate banks have 259. The target for the number of controlling offices after the merger is 687 -- a reduction of 122 offices. Employees directly affected by these shutdowns -- estimated at 1,107 -- will be redeployed, mostly in customer-interface operations. "The net result is that people in controlling functions will be available for deployment on the ground for improving reach to the consumer," he said. "There are about 5-7 people in every regional office and 20-odd people in each zonal office. One regional office controls 30-40 branches, while 4-5 regional offices are controlled by one zonal office," he said. The associate banks have also offered a Voluntary Retirement Scheme (VRS) to employees who do not wish to relocate. Along with the winding-up of these offices, a number of merger processes will come into effect simultaneously, including the data merger of the five entities. SBI says the merger will be done seamlessly as it has the experience of two earlier mergers. State Bank of Indore was merged with SBI in 2010, while State Bank of Saurashtra was merged in 2008. In a related development, the Centre has on March 20 approved the merger of Bharatiya Mahila Bank (BMB) with the SBI. The effective date of implementation will come from the government. The Bharatiya Mahila Bank has about 100 key branches, which will merge with the SBI. In the three years since the BMB was set up in 2013, it has extended loans of Rs. 192 crore to women borrowers. The SBI has more than 20,000 branches. Out of its workforce of around two lakh, 22 per cent are women.